Do Adoptive Parents Choose the Child They Want to Adopt? When it comes to their family, many adoptive parents have a certain vision in mind when beginning the process of adopting a child. As a result, many families have asked, “When adopting, can you choose the child you adopt?” While the adoption process does allow the adoptive parents to specify some of what they are looking for, most of the process actually lies beyond their control. However, by talking to your adoption specialist about your comfort level with various aspects of your adoptive child’s background and keeping an open mind, you can find an adoption opportunity that fits in with your needs as a family. With American Adoptions, one of the first steps in the adoption process is for adoptive parents to fill out an Adoption Planning Questionnaire, or APQ. This is a simple set of questions that helps the agency and adoptive parents determine which adoption situations fit best with their family. Answers to these questions will cover topics such as budget, contact arrangements with birth parents, medical history and race. Once a family has completed this questionnaire, their adoption profile will be shown to pregnant mothers who are a good fit for their preferences. Ultimately, it is up to a potential birth mother to choose the adoptive family that’s best for her baby. So, while you do not get to “choose” the child you adopt, you will get to choose many of the characteristics you are comfortable with your future child having. When considering your answers to these questions, it’s important to keep in mind that the more open you are to a variety of situations, the more prospective birth mothers your profile can be shown to, and the more likely you are to be chosen for an adoption quickly. Consider the issues that matter the most to your family in comparison to the time you are willing to wait for a child; each restriction on the APQ will add time to the process of adopting. Desired race: It’s important that adoptive parents are confident in their ability to address their child’s potential cultural differences in a healthy way. Birth parent medical history and substance usage: Nobody has a spotless medical history, so take a look at your own and remain realistic in your decisions. Contact arrangement with birth parents: Closed adoptions are becoming more and more rare, and American Adoptions has certain openness requirements for all of our adoptive families. However, adoptive families can decide whether they are open to additional contact with prospective birth parents beyond our minimum requirements. Adoption budget: Each adoption budget covers the fixed costs of case management and variable expenses such as living, medical, and legal fees. Gender: It is much more difficult to find potential birth mothers if an adoptive parent is only interested in babies of a certain gender. Genetic traits: You cannot control your own genetics, just as you can’t control those of an adopted child. Instead, an adopted child will be their own unique blend of inherited and acquired traits. 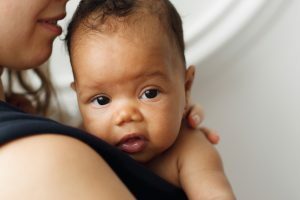 When you’re placed with a child: Many factors contribute to the amount of time a family waits to be placed with a child, and the birth mother may change her mind for a number of reasons. Emotions of expectant parents: While adoptive families may be going through their own emotional struggle, it’s important that they remain supportive of the feelings of expectant parents. For adoptive parents, the process is really more about finding the right prospective birth mother than the “perfect” child to adopt. Finding a potential birth mother that matches your needs is the most important step in the adoption process; everything else will be a result of that decision. With American Adoptions, families can better their chances at finding the right adoption opportunity for their needs through written and video profiles, screening and counseling, advertising and marketing services, and pre-placement contact mediation. To learn more about adoptive parent’s choices in adoption with American Adoptions, call 1-800-ADOPTION today or request free adoption information. I like what you said about how parents should be realistic about the child’s parents’medical history. If I would adopt a child, I will definitely want someone that will be guaranteed with a relatively fine life without any potential for serious hereditary illnesses. Thanks for this really wonderful piece about the adoption process.